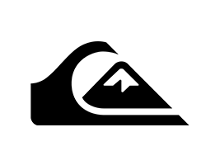 All 19 Quiksilver promo codes have been verified and tested today! from $25-$500 to fit everyone’s budget. Gift cards even come with a customizable note. Physical gift cards are delivered by mail and can be redeemed both online and in U.S. retail stores. E-gift cards are delivered by email and can only be redeemed online. E-gift card recipients will receive an email with their card number and PIN. That’s right, receive free shipping on purchases over $65. No Quiksilver coupon necessary. All you have to do is add desired items to your cart and once your purchase exceeds $65, free shipping will automatically be applied. So what are you waiting for? Browse Quiksilver, pick out some awesome gear, and save on shipping! One of the best ways to save money is to shop sale and clearance. Quiksilver currently offers sale items for men and kids ranging from apparel, hats, shoes and sandals, and backpacks. To save even more, find a Quiksilver coupon code to redeem on top of your sale item. To shop sale, head to the Quiksilver website and click the Sale link on the main menu. Choose from a variety of options and take something you love home. Quiksilver offers a 15% discount to all Military servicemen and women, first responders, and teachers. To redeem this Quiksilver discount code, visit the Quiksilver website and scroll to the bottom of the page to the Military, First Responders, and Teachers link, then follow the prompt. This Quiksilver promo code is only available at online stores and cannot be used to purchase a gift card. email list. Also gain first access to sitewide events, news, and exclusive offers. No Quiksilver promo code necessary, but this automatic discount applies only to online sales and cannot be combined with gift cards e-gift cards, or any other Quiksilver promo code. So what are you waiting for? Gear up and get outside! Join the Quiksilver BoardRiders Club and start earning points and perks; it’s free and easy to sign up! When you become a part of the club, you enjoy rewards, birthday and anniversary offers, early access to sales, and free shipping offers. Every dollar you spend = 1 reward. When you hit 200 points, you will be awarded a $15 Quiksilver coupon. To start racking up the goods, simply create an account and provide your name, email, and birthday. Share the love of gear and get rewards with Quiksilver. When you refer a friend, family member, or colleague to Quiksilver, you will receive rewards and save money. All you have to do is visit Quiksilver.com, click on refer a friend at the bottom of the page, and enter in your friends’, family, and colleagues’ name and email address. You can refer as many friends as you like, but only one Quiksilver coupon is allowed per purchase. Referral rewards also cannot be used in combination with any other Quiksilver coupon code or discounts. Once you’ve referred everyone, you will receive a unique referral link. Each of your referrals will also receive an invitation link to start shopping. It’s as simple as that! Your purchase didn’t work out? No worries, you can return it and try again! Unused products purchased within the last 30 days can be returned easily. Just make sure the items are packed with the original packing receipt with tags still attached. Refunds will be made to the original tender and can be expected to arrive within 10-12 days from the day that the return is received. Securely pack merchandise in the original box, if possible, removing extra labels from the outside of the package. Send it off and consider shopping for something even better! Please note that items purchased at retail store locations can not returned via mail.